Boston Children’s Books Trivia Challenge! 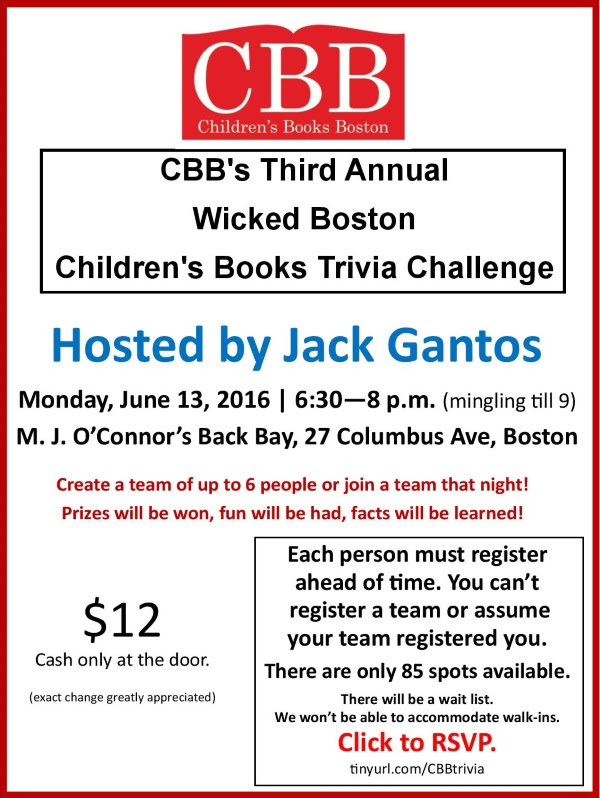 You’re invited to CBB’s Third Annual Wicked Boston Children’s Books Trivia Challenge! For more information and to RSVP, please visit www.tinyurl.com/CBBtrivia. Category: Events · Tags: Boston Children's Books Trivia Challenge!